R18 – This is one of the strongest pre-workout available in NZ. Recommended for people with high tolerance for stimulants. THUNDERSTORM ULTRA is a totally reformulated, supercharged pre-workout concoction. Imbued with rare compounds sourced from the edges of the known universe, the ULTRA variant is significantly more potent than the standard brew. The raw power of this formula is not for the faint-hearted. Only the most powerful wizards dare to wield the unparalleled might of THUNDERSTORM ULTRA. The chosen few who can successfully master this storm become truly unstoppable forces. Feel the thunder flow through you and dominate your workouts with enduring energy, increased stamina and pumps that are out of this world. Push yourself to the next level with lightning focus and unyielding determination. Discover the mental strength of a true wizard. Q. Is this the strongest version of Thunderstorm? A. Yes, absolutely. 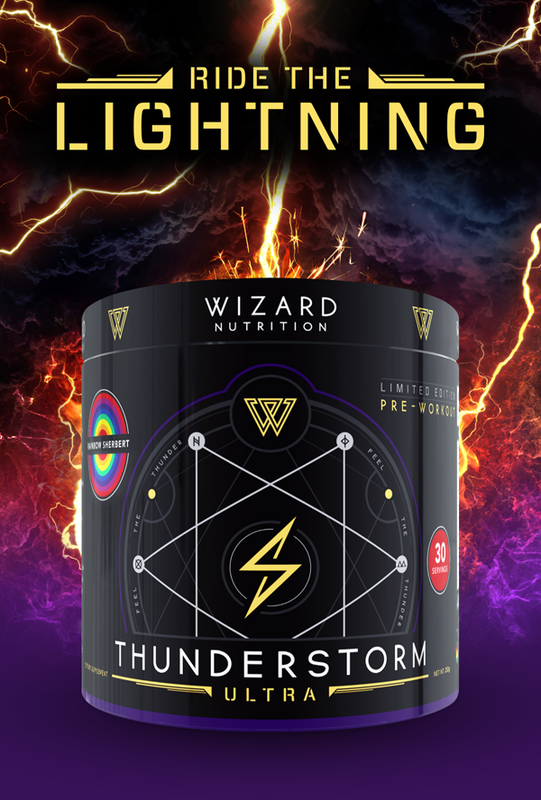 This formula is based on the original version of Thunderstorm, tweaked and enhanced with new ingredients to be as strong as possible. Q. How is it different to Thunderstorm v2? 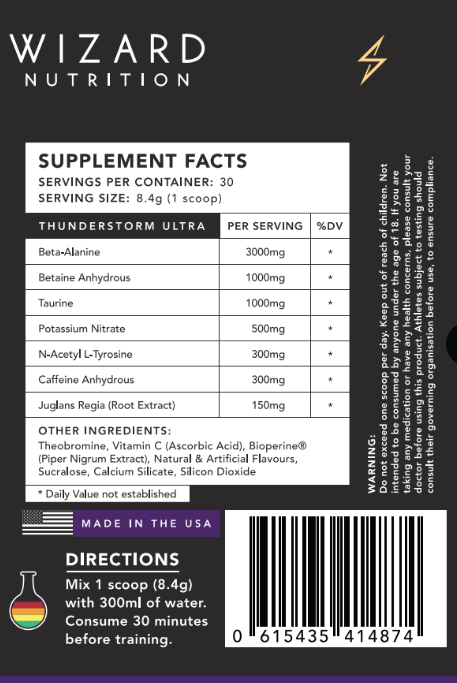 A. Thunderstorm Ultra features Juglans Regia Root Extract and N-Acetyl L-Tyrosine for insane energy and focus, plus Potassium Nitrate to boost Nitric Oxide levels for mind-blowing pumps. Q. Can I handle this strength? A. Thunderstorm Ultra is one of the strongest pre-workout available in New Zealand. If you have a low tolerance for stimulants, this product may be too powerful for you. If you aren’t sure you can handle it, consider trying the 5-serving mini size.